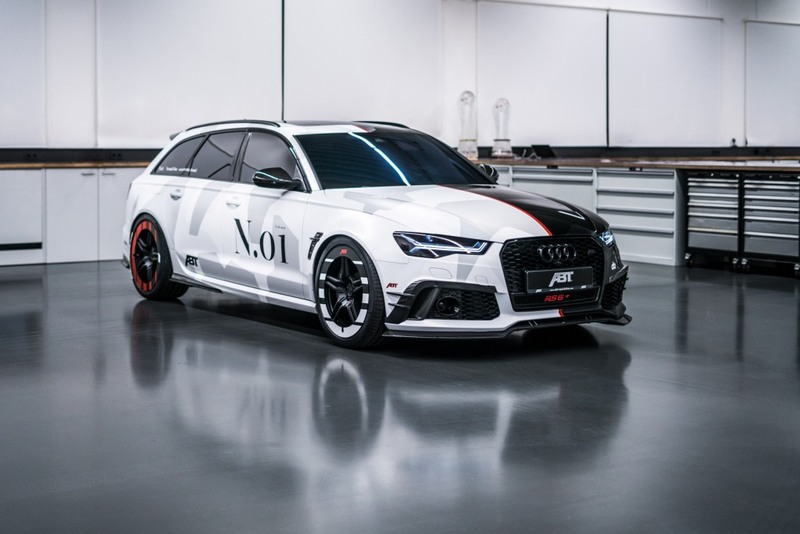 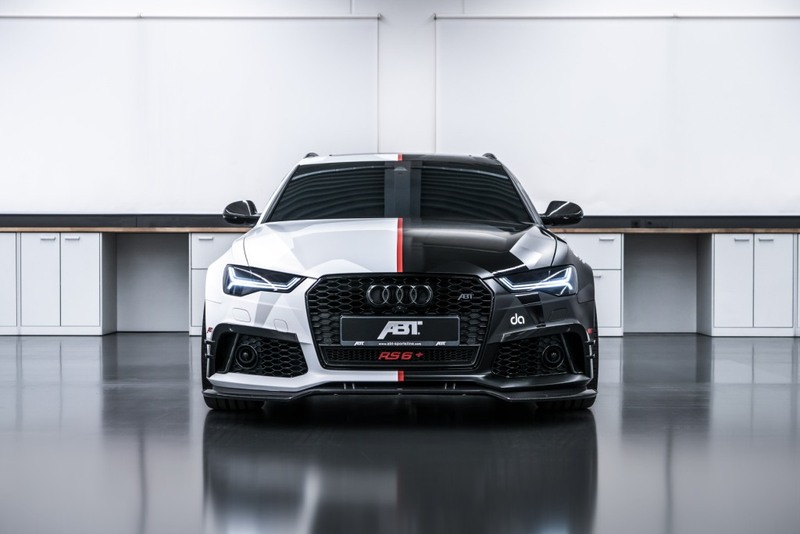 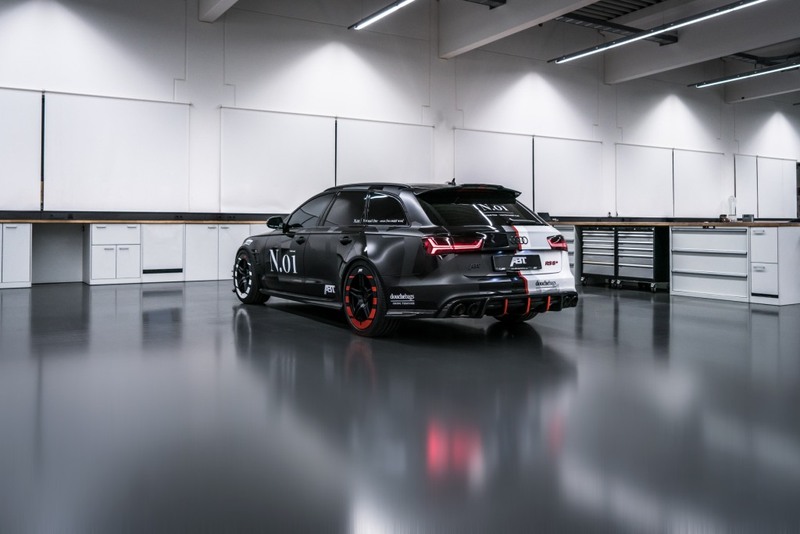 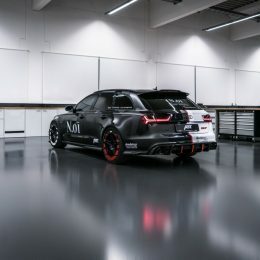 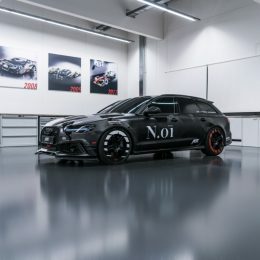 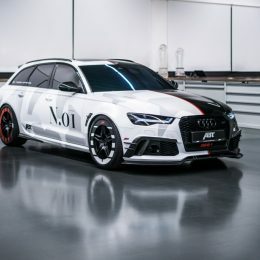 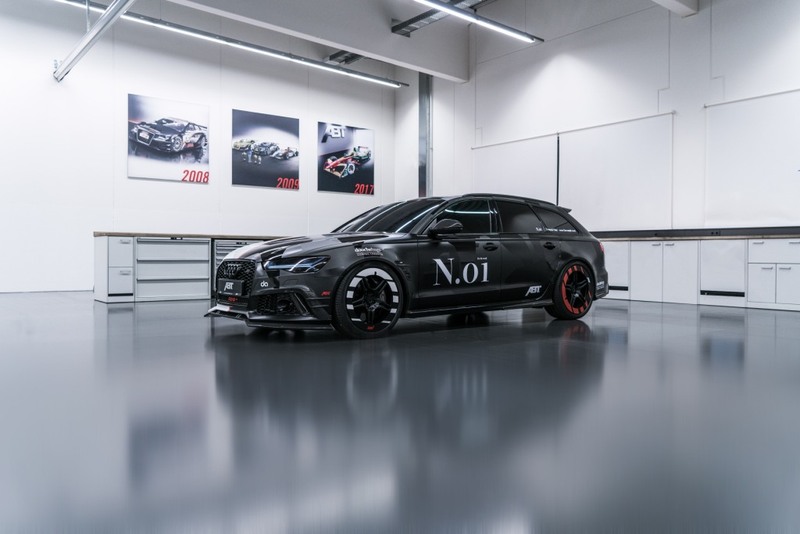 Olsson’s new rocket is based on the “normal” RS6+, which ABT Sportsline builds in a limited edition of 50 vehicles based on the RS6 Performance. 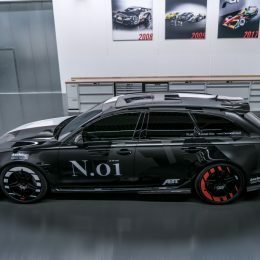 Compared to the distinctive one-of-a-kind “Phoenix”, that seems almost like a large-scale production run. 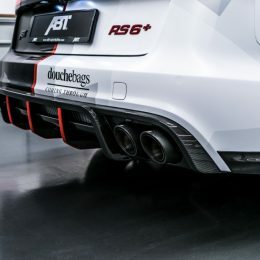 Thanks to a very special sports exhaust system, which was produced in manual labor as an export version for the Swedish customer, this Avant produces an unrivalled sound and even more power. 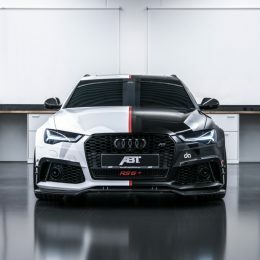 One of the most impressive features is the unique look of the car. 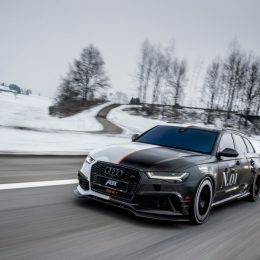 It takes the skiing star’s typical “snow camouflage” wrapping to new heights. 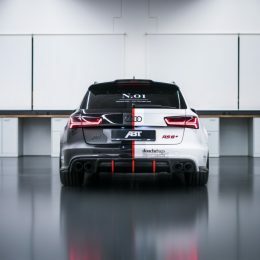 The driver’s side is black, while the passenger sits in the white zone. 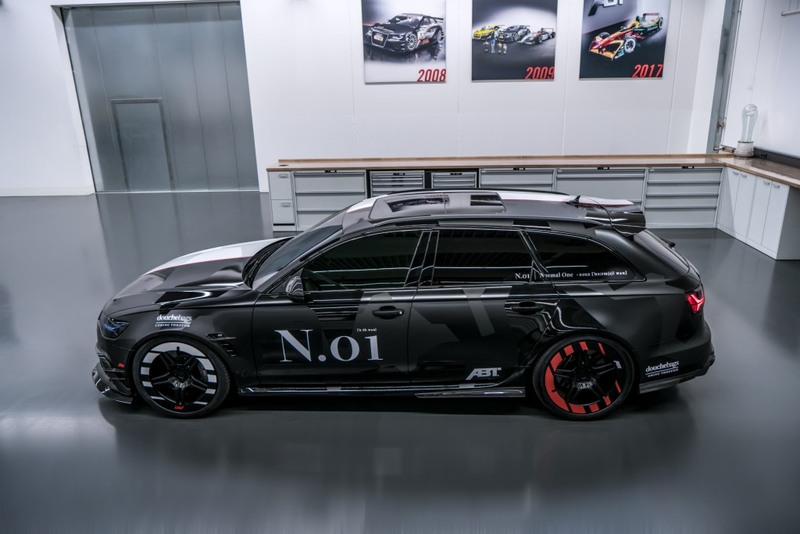 This wacky design is called “split camo”.